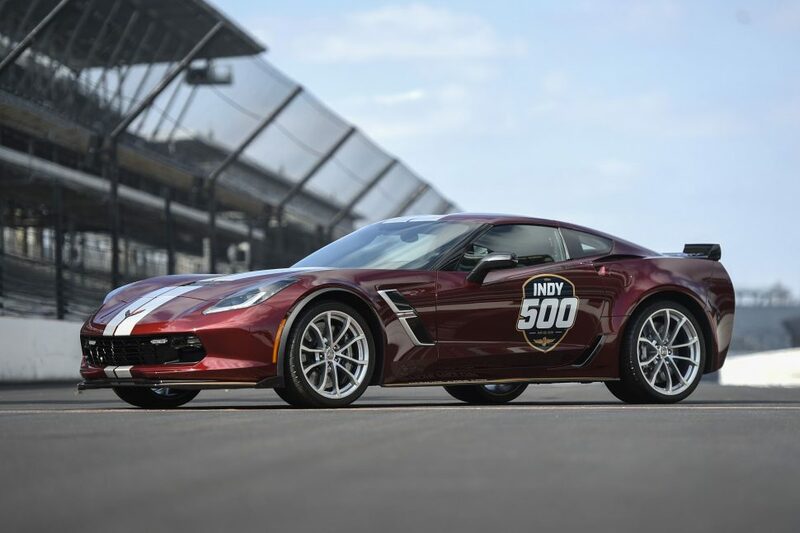 The 2019 Corvette Grand Sport, the Official Pace Car for the 2019 Indianapolis 500. Photo courtesy General Motors. Introduced in 1953, the Chevrolet Corvette was into its third-generation before being selected as a pace car for the Indianapolis 500. Since that year, 1978, a Corvette has led the pack to the green flag a record-setting 16 times, more than any other single model in the history of the Indianapolis Motor Speedway. For the 103rd running of the Memorial Day classic, taking place on Sunday, May 26, a 2019 Corvette Grand Sport will serve as pace car, while 33 visually similar Grand Sport Corvettes will serve as “Festival Cars” in the weeks leading up to the race. Those expecting a pace car from a brand other than Chevrolet are in for a bit of disappointment. Since 2002, the Bowtie brand has held an exclusive deal with the Speedway to provide pace cars for the Indianapolis 500, and from 1997-2001, GM held the rights, sending Oldsmobile Auroras in 1997 and 2000, and the most unlikely of pace cars — an Oldsmobile Bravada SUV — in 2001. The last time an alternative brand paced the Indy 500 was 1996, when a Dodge Viper GTS coupe — driven by Bob Lutz — had the honor. The 2019 Corvette Grand Sport pace car is powered by a 6.2-liter LT1 V-8, rated at 460 horsepower and 465 lb-ft of torque and mated to a paddle-shifted eight-speed automatic transaxle. Other track-worthy bits include dry-sump lubrication, a Magnetic Ride Control-equipped performance suspension, carbon ceramic brakes from Brembo, a carbon fiber ground effects package, “competition” bucket seats, and a performance data recorder. Chevrolet says the Grand Sport can run from 0-60 mph in 3.6 seconds and corner at up to 1.2 g, thanks to its aero kit and optional suspension. Pace Car and Festival Car models will be painted Long Beach Red Metallic Tintcoat with silver stripes, and will wear a GM Design Indy 500 decal package. Pace Cars are typically equipped with safety features like strobe lights and five-point harnesses for driver and passenger, while Festival Cars — loaned to local dignitaries for exposure leading up to the race, then driven on parade laps at the Speedway on race weekend — are generally production cars adorned with graphics. In recent years, Chevrolet has gotten away from building “Pace Car Replica” models, and the automaker hasn’t indicated that such Corvettes will be produced for 2019. With the rumored mid-engine Corvette poised to debut as a 2020 model sometime later this year, the automaker appears to be taking steps to reduce existing dealer inventory of seventh-generation Corvettes, offering zero-percent financing for up to 72 months on select Corvette models. Given Chevrolet’s Indy 500 pace car lock, it’s a safe bet that this won’t be the last Corvette to front the 500-mile race. It may well be the last front-engine and rear-drive Corvette to do so, unless further delays impact the launch of the next Corvette generation. Stay tuned.